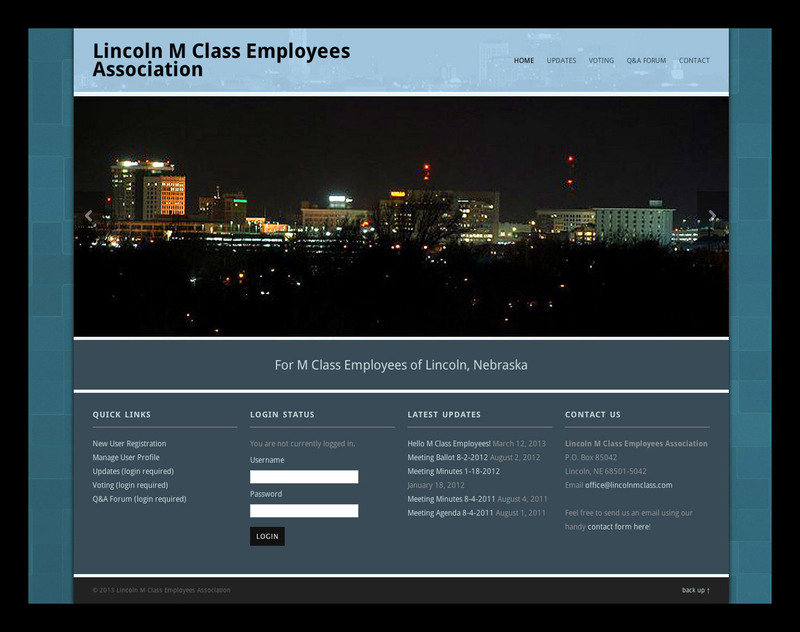 The Lincoln M Class Employees Association website utilizes a clean and simple design as requested by the client. It also features a member registration functionality requiring Administrator approval to receive a username and password. Registered members can then access protected PDF downloads, union ballots, and new contracts.